Creating a living trust is generally a key component of a comprehensive estate plan. A living trust can simply matters and can help your family avoid expensive and complex probate proceedings. At the Werner Law Firm, our dedicated Bakersfield estate planning attorneys know the ins and outs of living trusts and can help you create a legally sound plan that covers all the bases to your future. Having been involved in estate planning since 1975, our firm can provide the highly skilled advocacy you need to help you secure your future with ease. More . . . The Last Will and Testament is undoubtedly the most well-known estate planning tool. In California, a will is a document that you can create to provide instructions on the distribution of your assets and property at the time of your death. When drafted in a legally sound manner and implemented in conjunction with a living trust, this document can provide assistance to your loved ones when determining your final affairs. If you are looking to draft a will, a highly knowledgeable Bakersfield estate planning lawyer from The Werner Law Firm can guide you through the process and help you plan for future with ease. More . . . While a living trust can help parties to avoid probate and its statutory rigors and attorney fees, there is still work to be done in administering a trust after the deceased settlor’s death. Trust administration, when done properly, protects successor trustees and the estate from potential civil liabilities. Furthermore, it informs beneficiaries of the status of the trust and its distribution, and can account to the beneficiaries of trust assets. 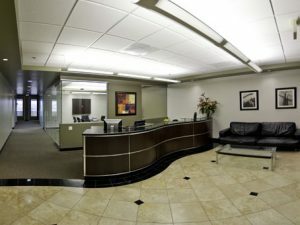 If you are looking for trust administration legal help, a highly knowledgeable Bakersfield lawyer from The Werner Law Firm is ready to help you. More . . .
At The Werner Law Firm, we have been helping clients through the probate process for 40 years. As you navigate the probate process, you may come across major complications that you will not want to handle on your own. When assets need to be managed and distributed, disputes may arise between the beneficiaries. Our Bakersfield law firm can walk you through these issues. Our goal is to ensure that the probate process is handled smoothly and efficiently. More . . . Understand that there are often alternatives to probate. It is important to speak with an attorney before taking action, as probate and probate procedures can often prove to be a maze to lay persons. If you are looking at alternatives to Probate, a highly knowledgeable Bakersfield estate planning lawyer from The Werner Law Firm can guide you through the process. More . . .
To discuss your customized Bakersfield, California estate planning options: call 661-377-2923 for a free evaluation or via our contact form. We are here to help.